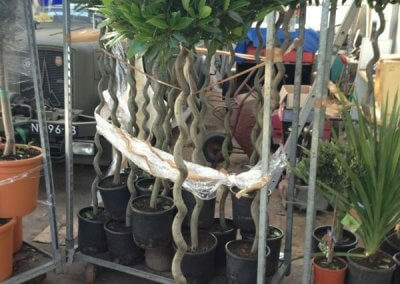 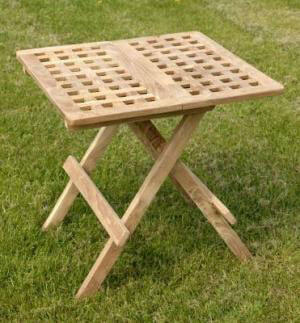 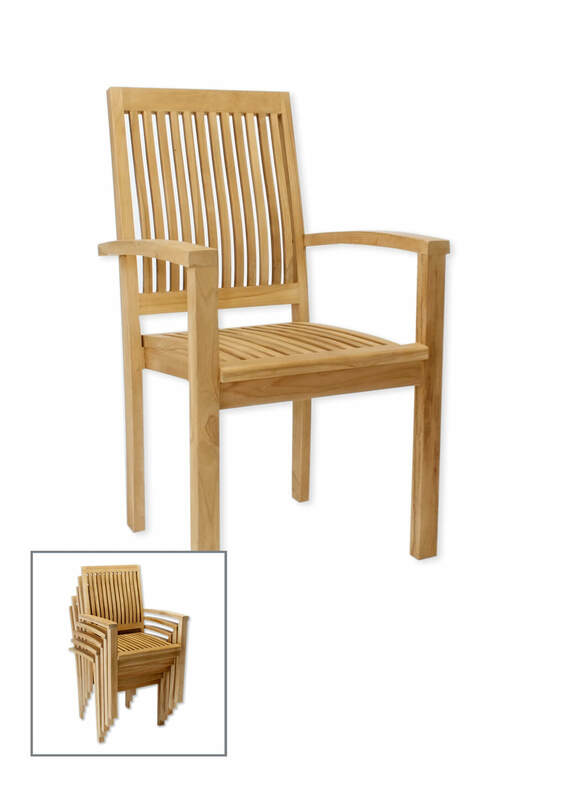 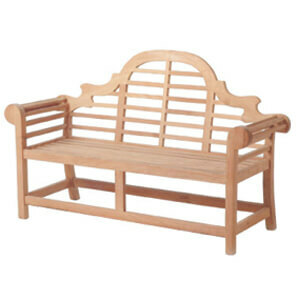 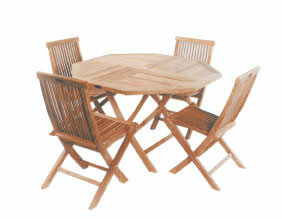 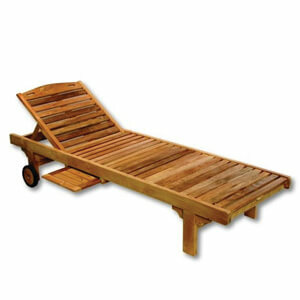 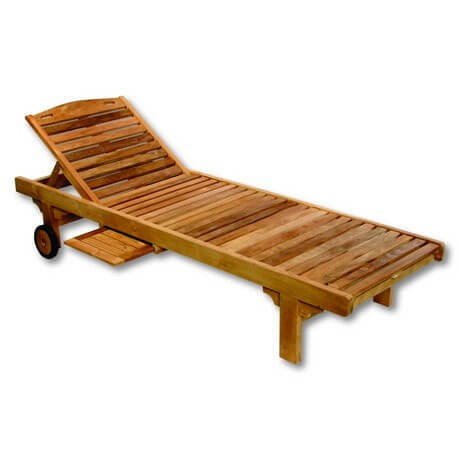 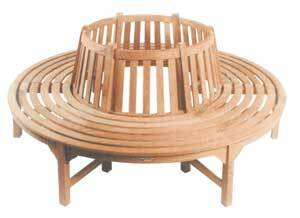 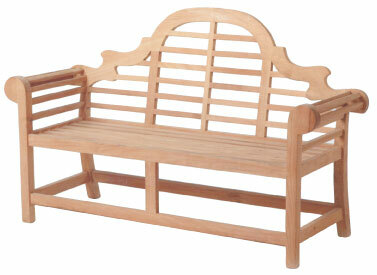 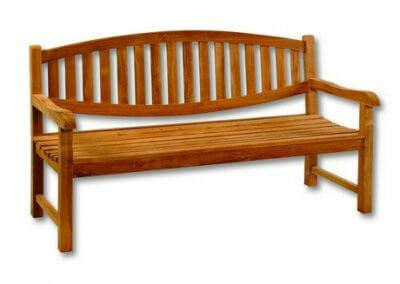 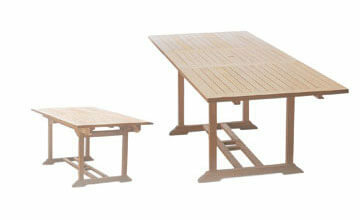 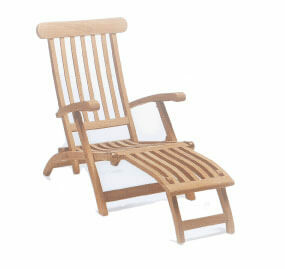 VINES LEISURE OFFER THE PUBLIC AND THE TRADE TEAK GARDEN FURNITURE DIRECT FROM THE ISLAND OF JAVA. 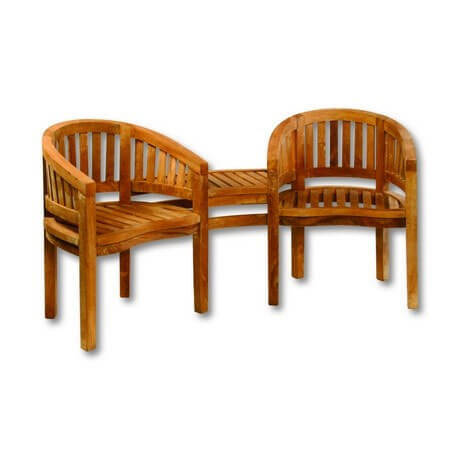 All our teak furniture is made of Teak – Tectonat Grandis – which is an extremely dense wood with a very high oil content, enabling it to withstand all that the weather can throw at it, from sub zero temperatures in winter to heat waves and humidity in summer. 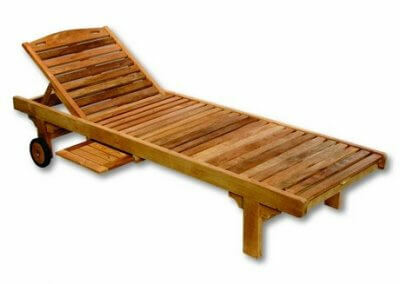 Mother nature made teak. 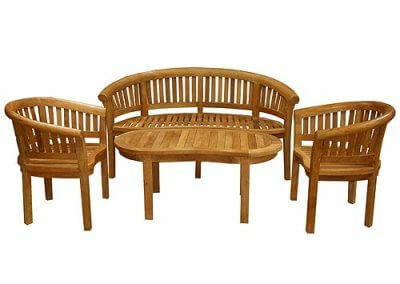 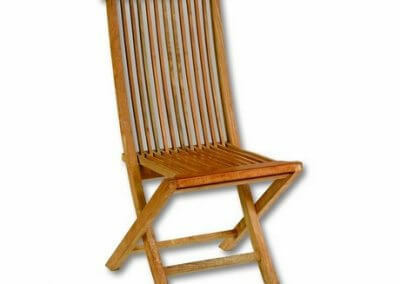 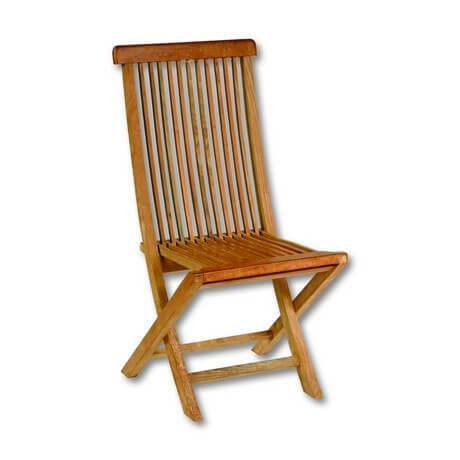 It has stood the test through time as one of the best exterior woods for centuries of boat building, and now garden furniture. 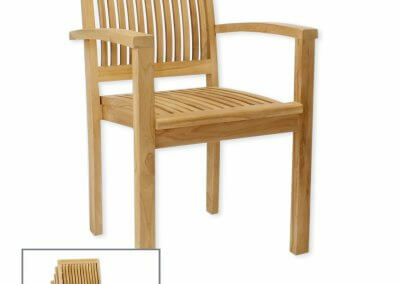 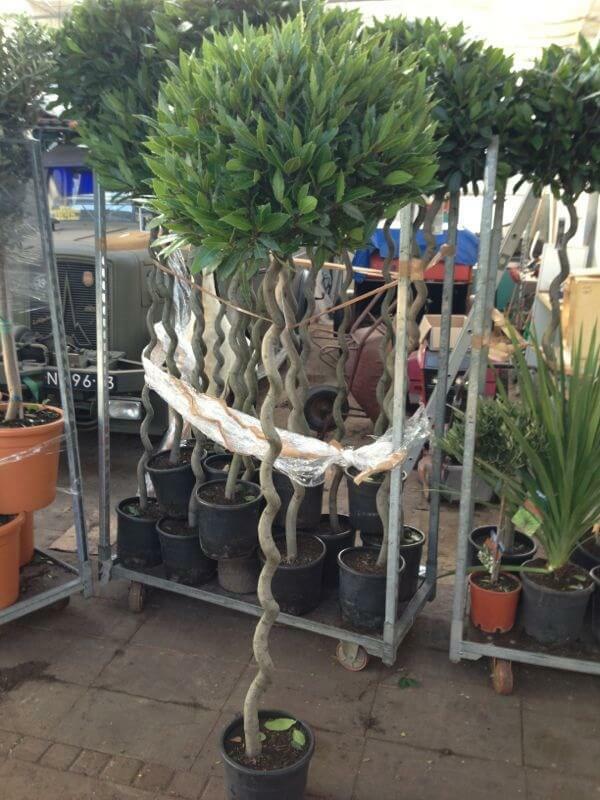 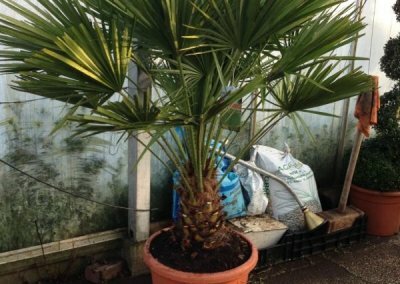 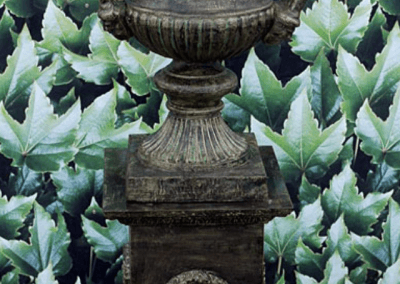 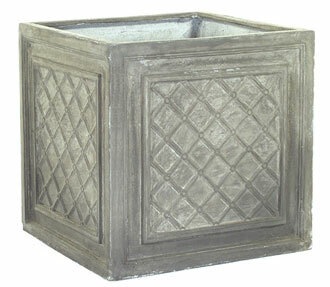 Left outdoors to weather naturally, teak will gradually turn to an elegant silver shade. 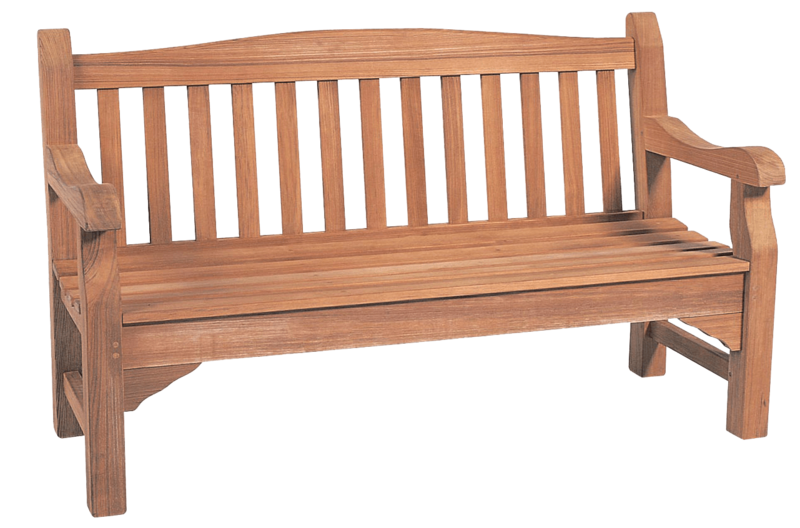 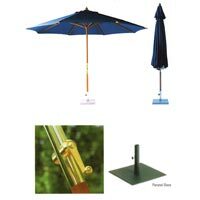 Maintaining your garden furniture could not be simpler: we recommend just leaving it outdoors, washing once a year with warm soapy water and a scrubbing brush and tighten all screws and bolts when needed. 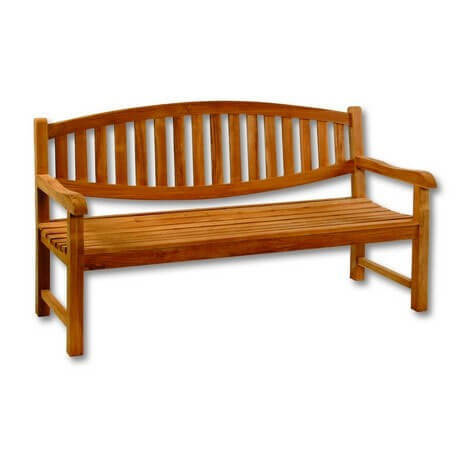 All of our furniture arrives fully assembled and ready to use – unlike self assembly kits with nuts, bolts and diagrams that tell you how easy it is to put together – if it where so simple they would do it themselves! 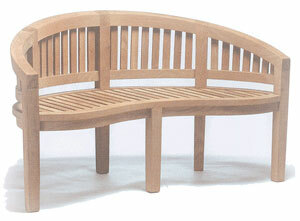 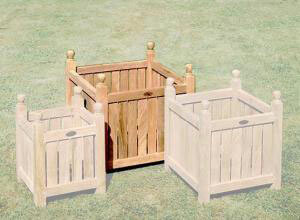 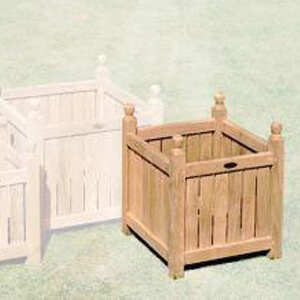 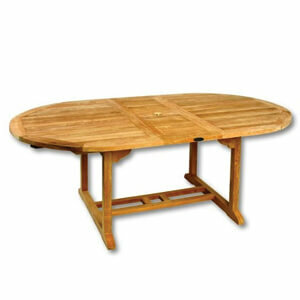 Mortise and Tenon joinery is used where it is really needed. 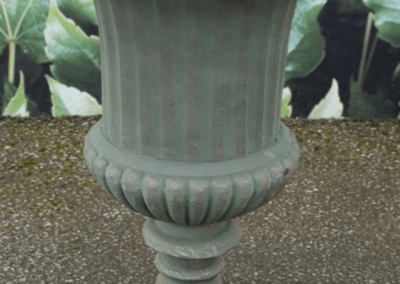 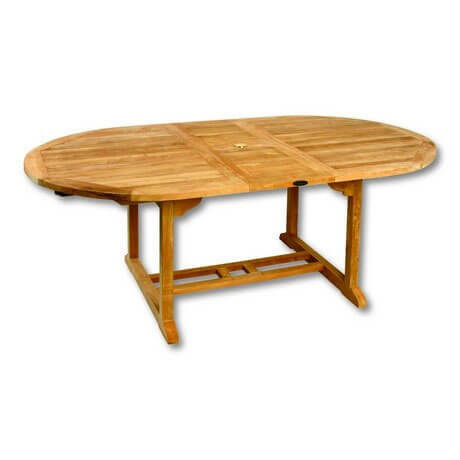 Everyone claims mortise and tenon joinery work, but do they have external splines, internal biscuits and huge butterfly joints at critical seams – especially under tables – or is it just glued? 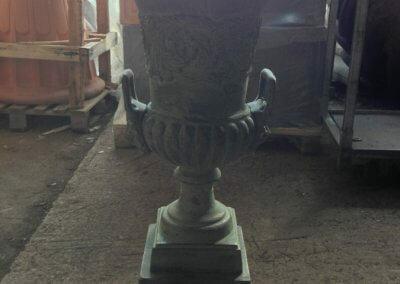 Call for price and sizes. 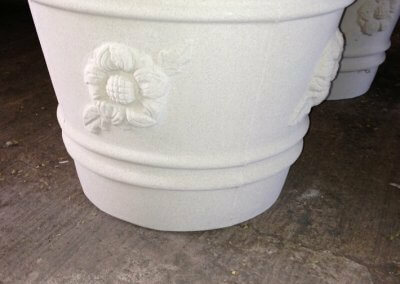 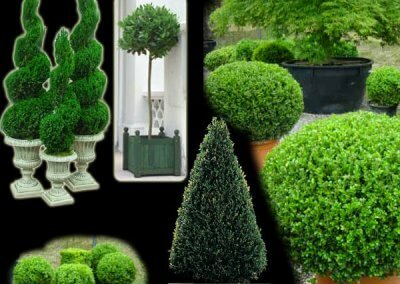 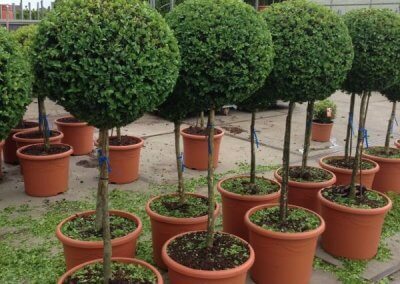 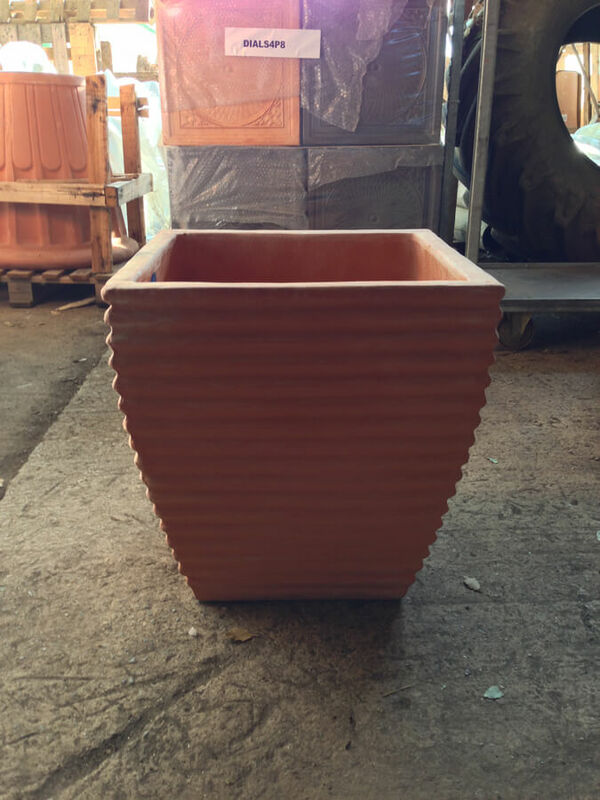 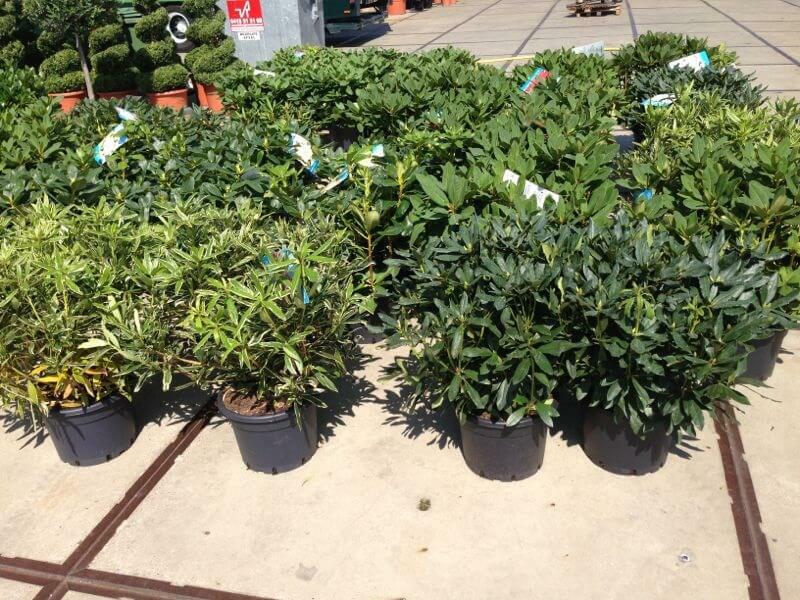 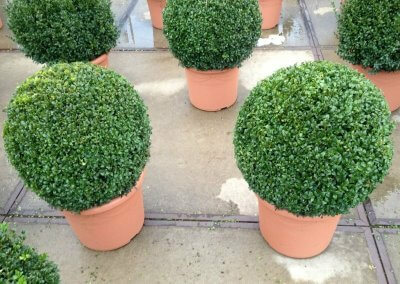 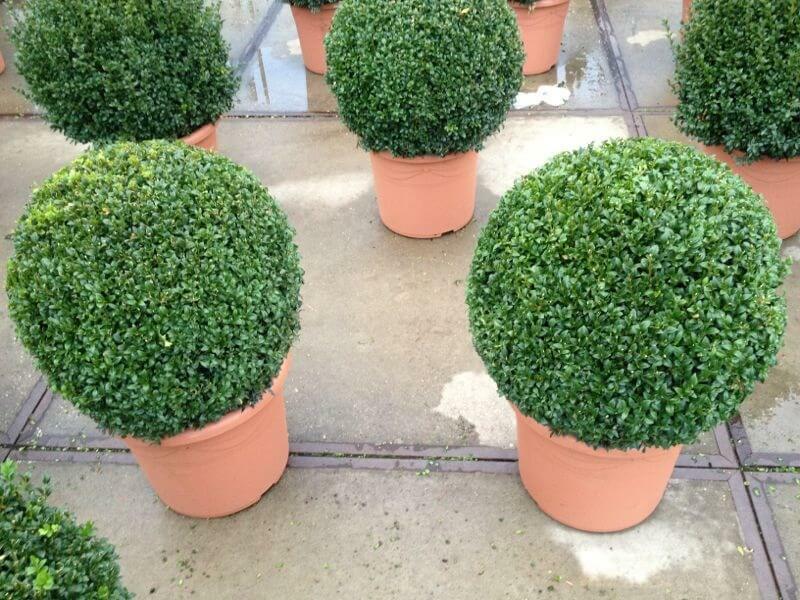 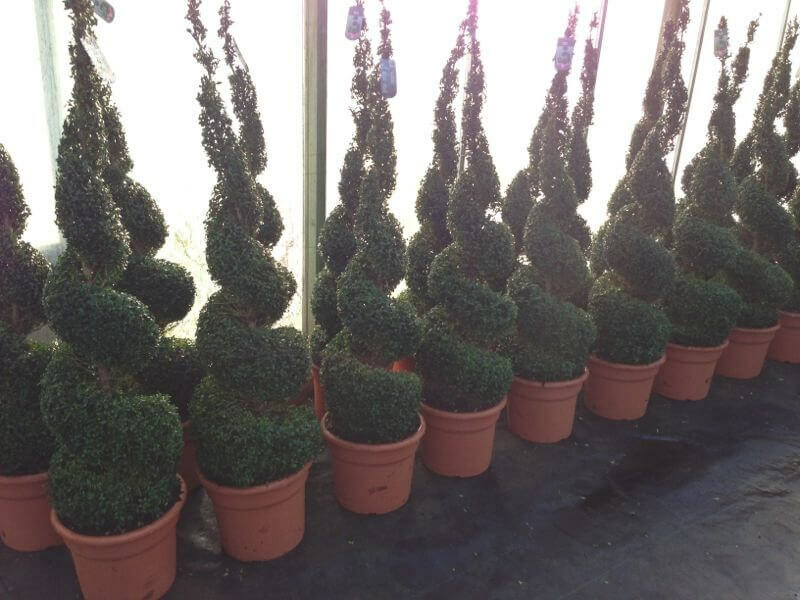 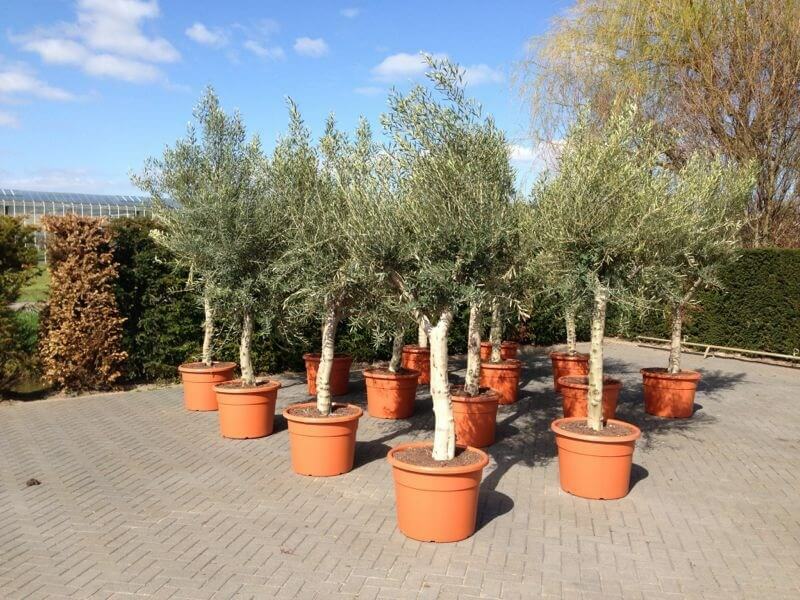 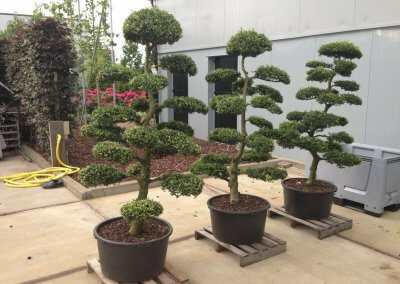 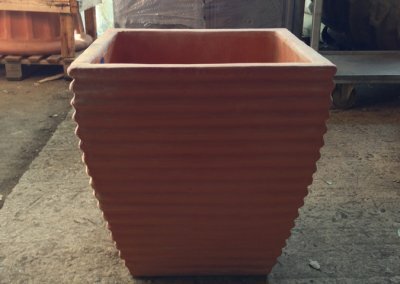 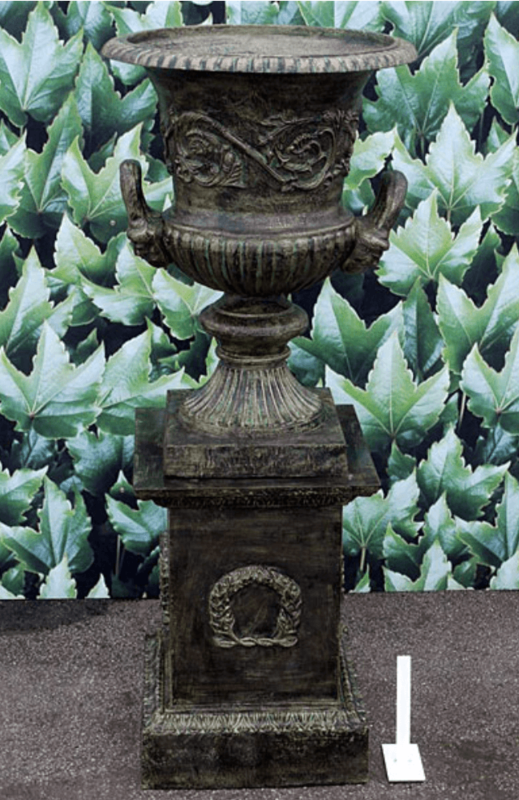 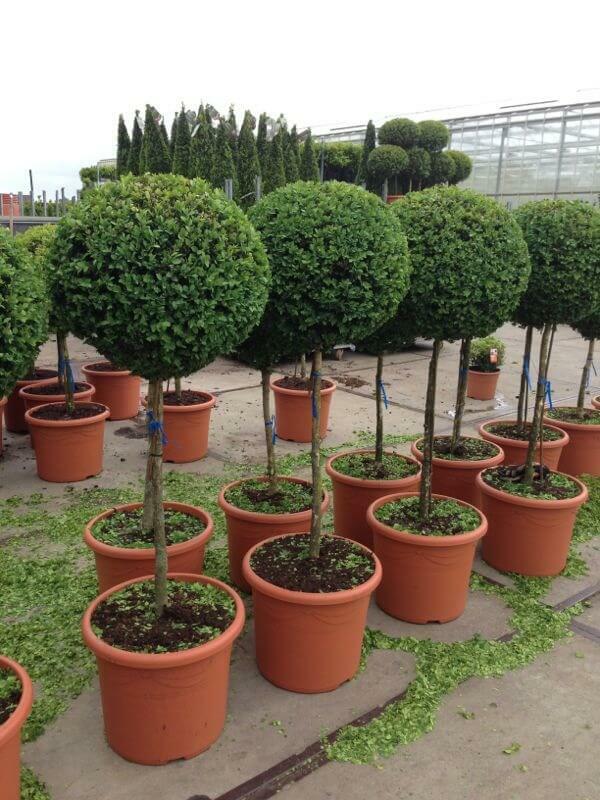 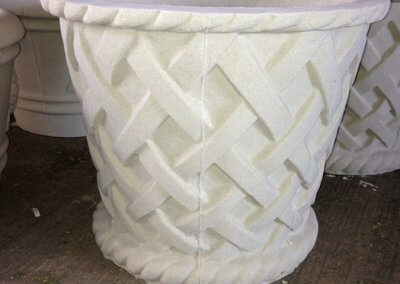 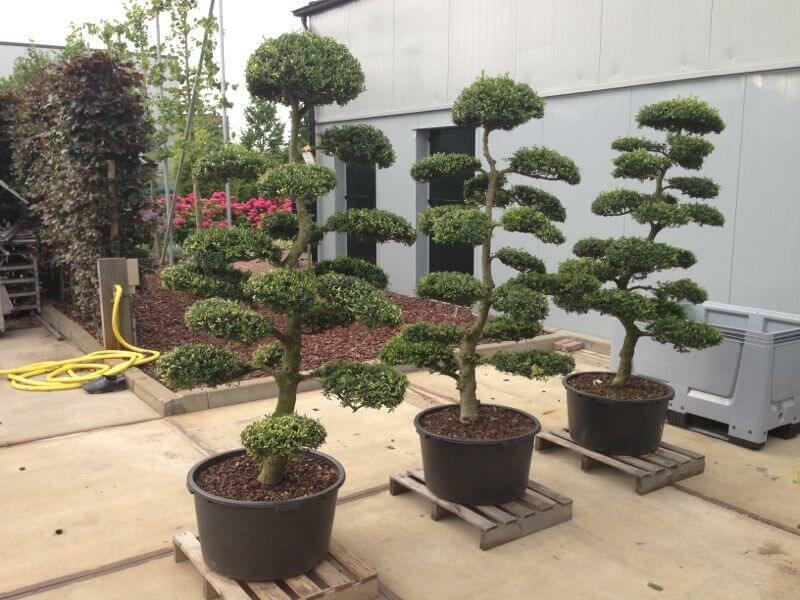 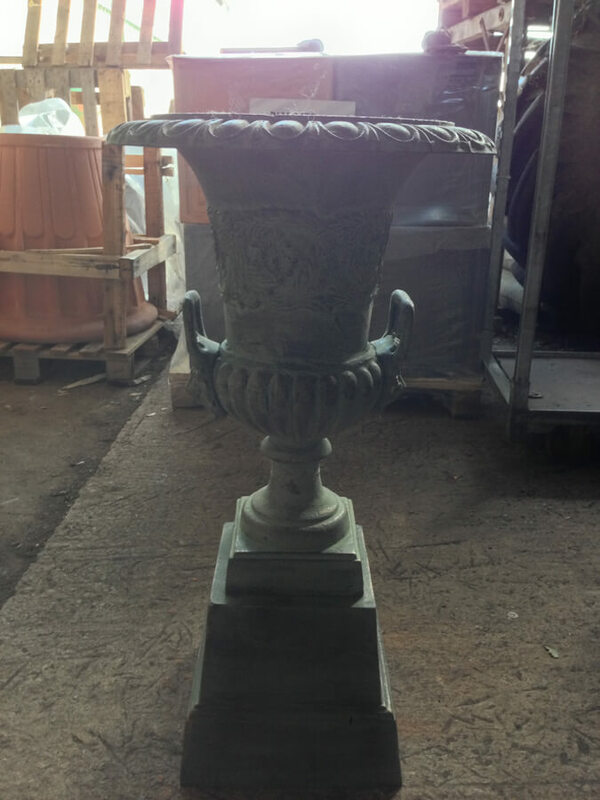 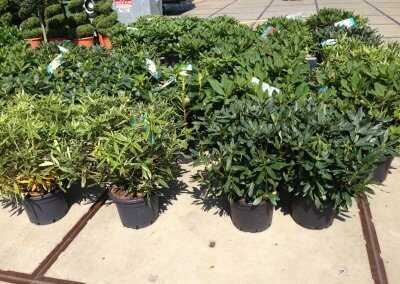 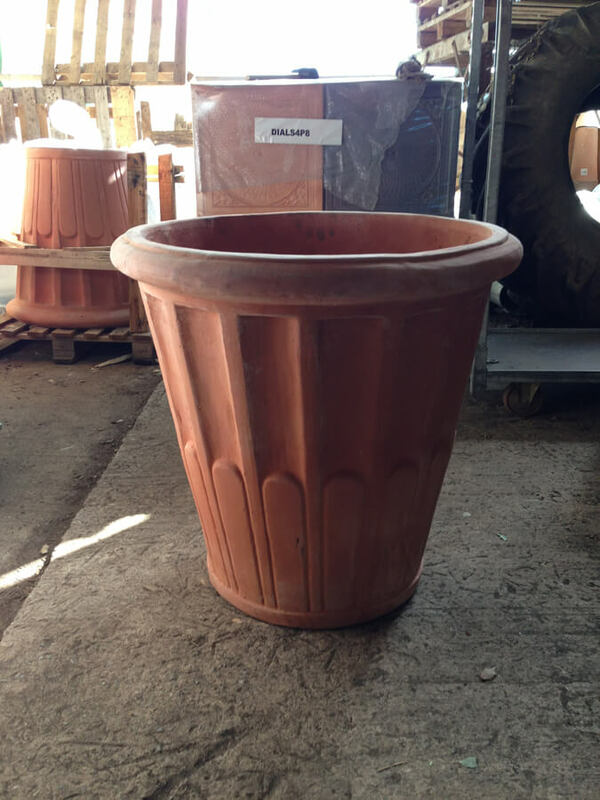 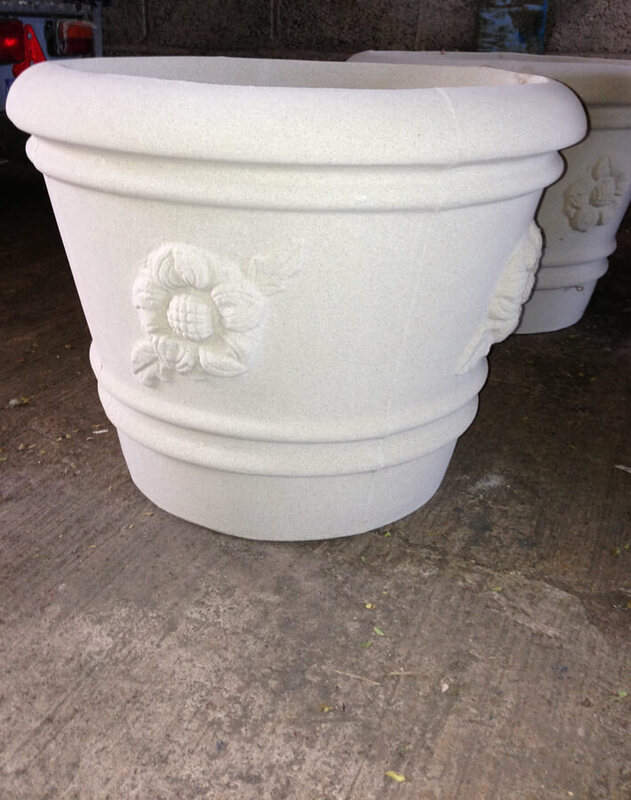 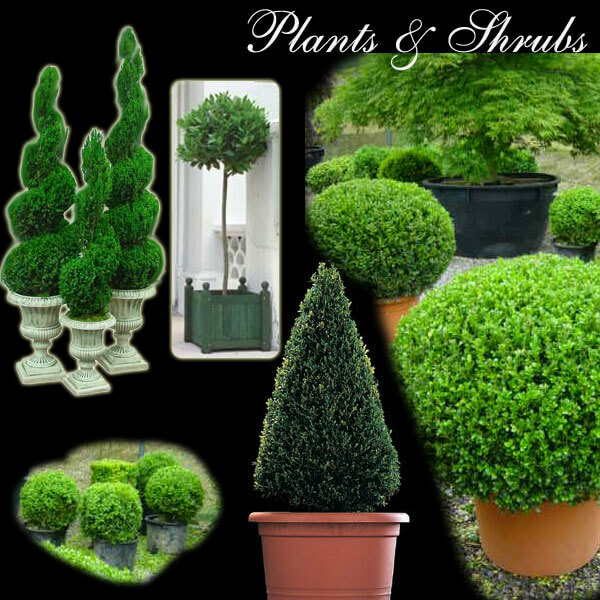 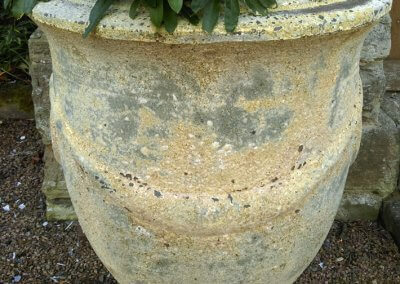 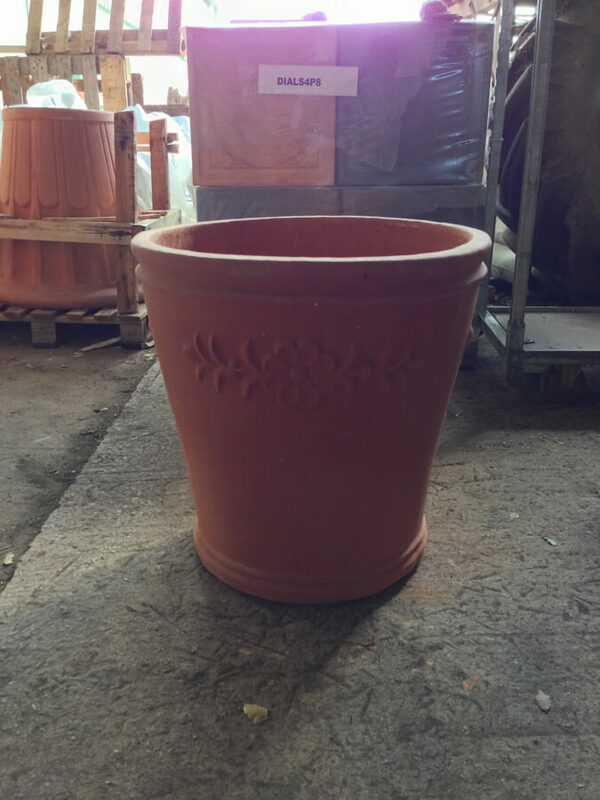 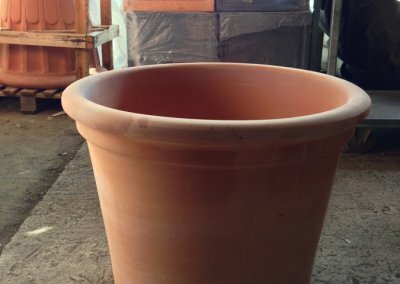 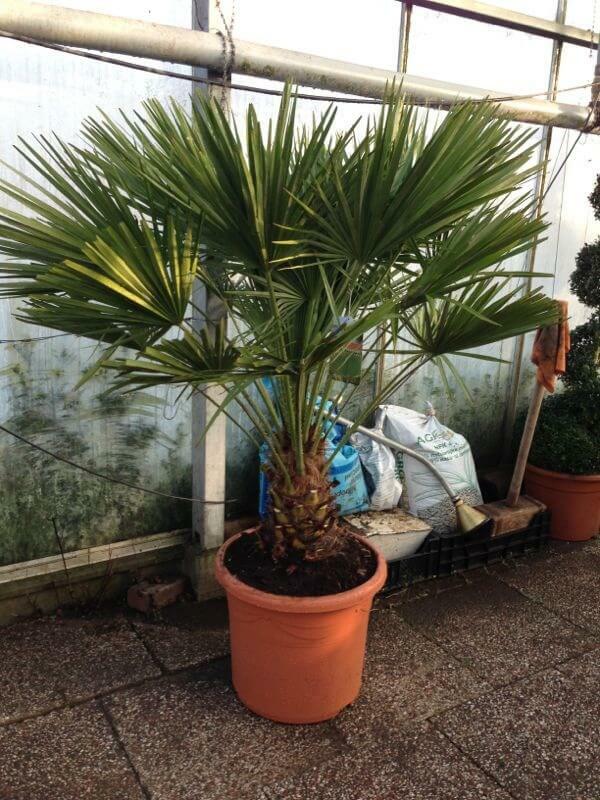 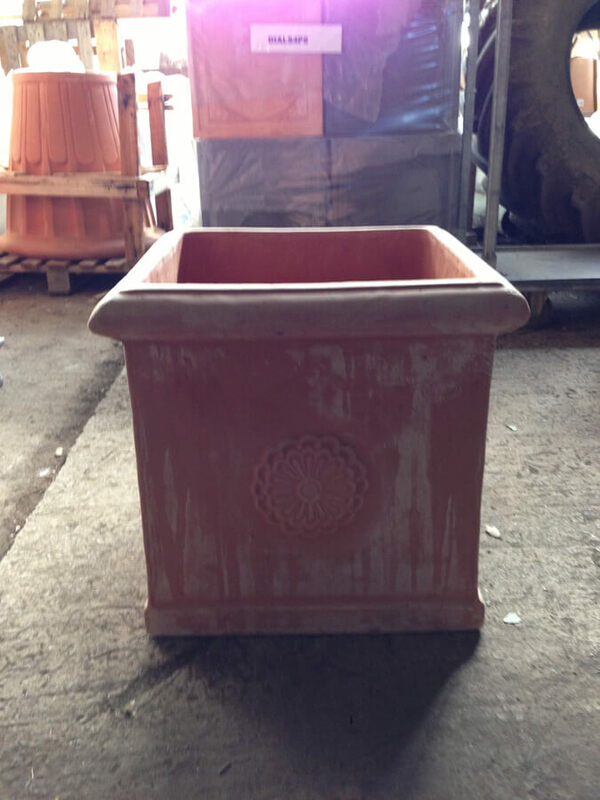 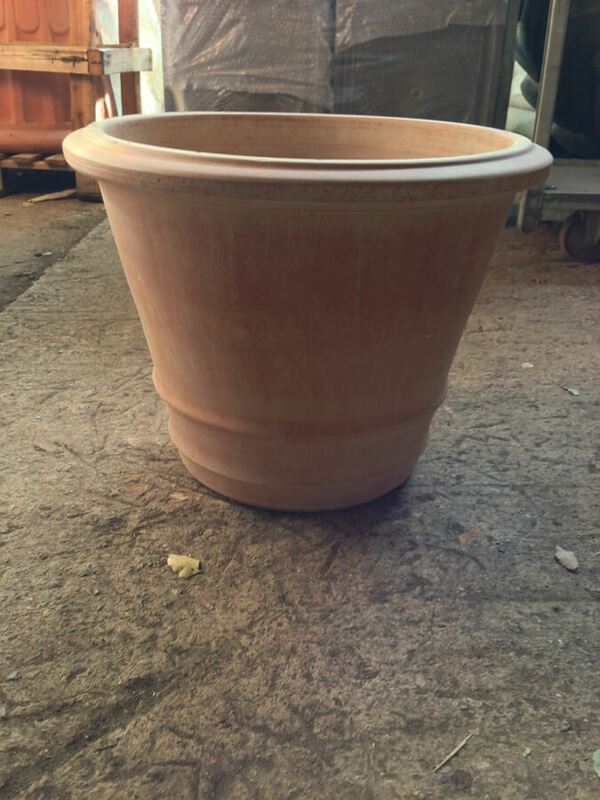 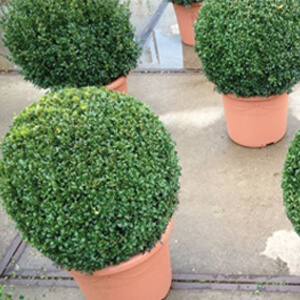 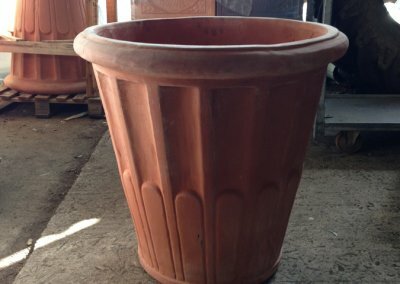 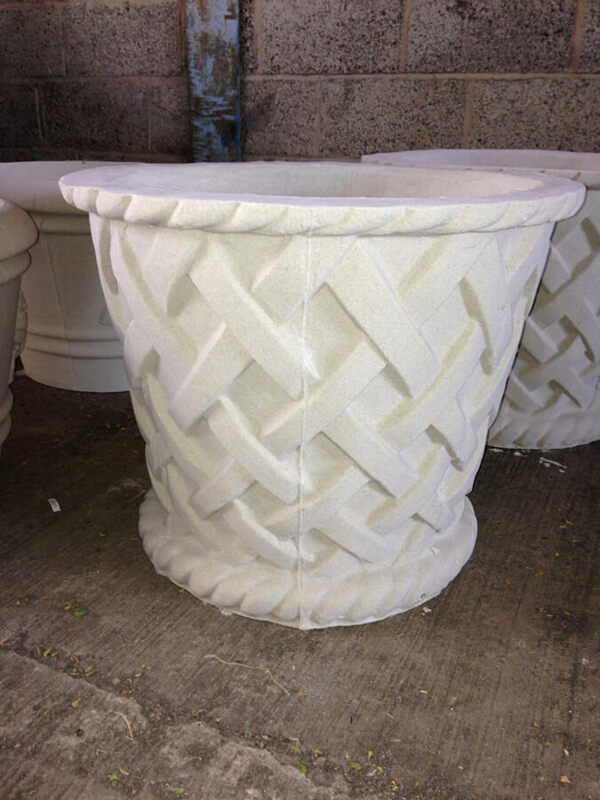 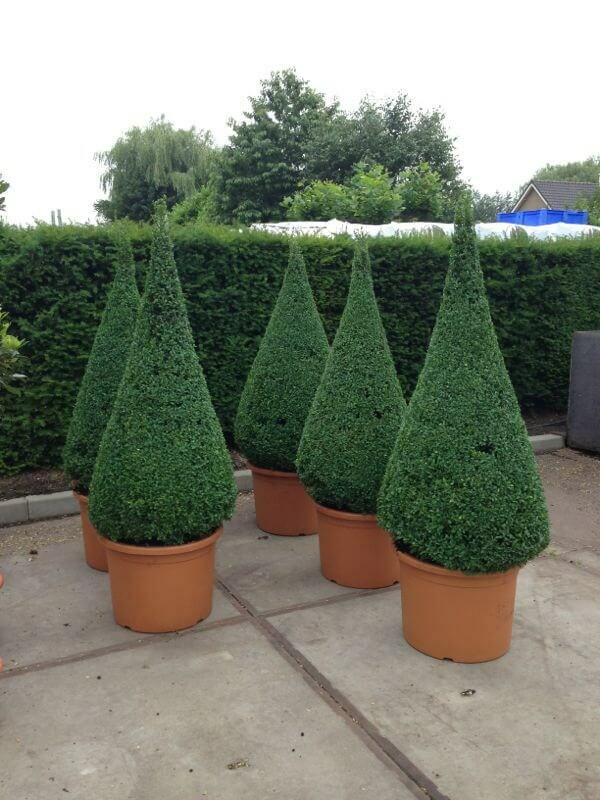 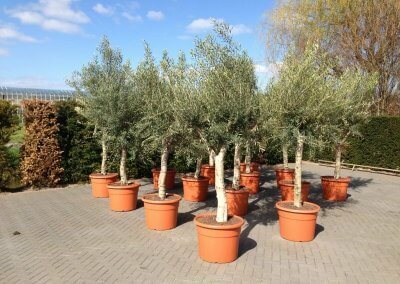 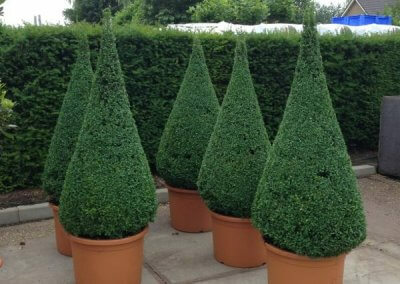 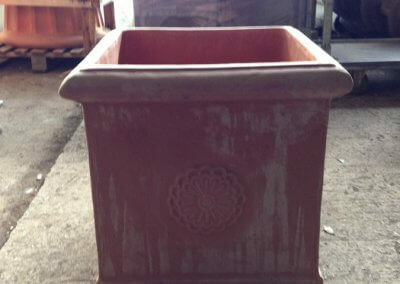 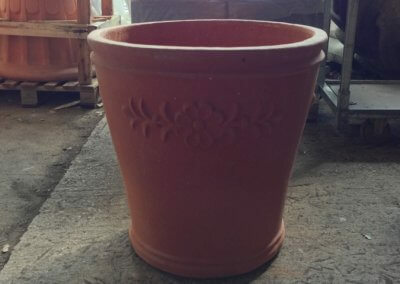 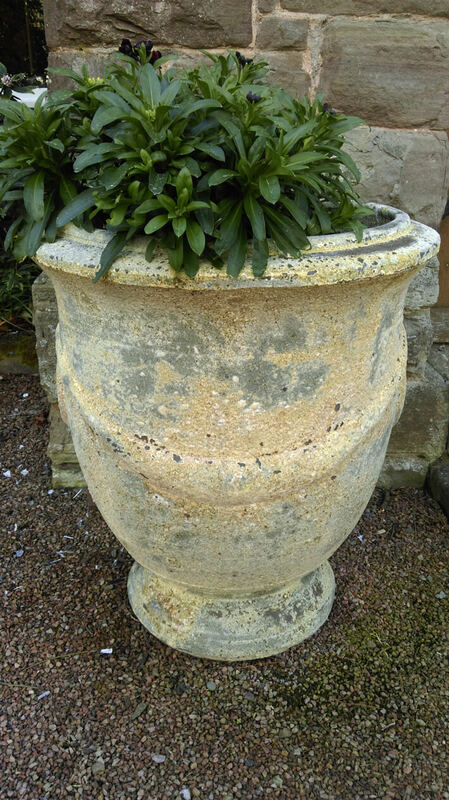 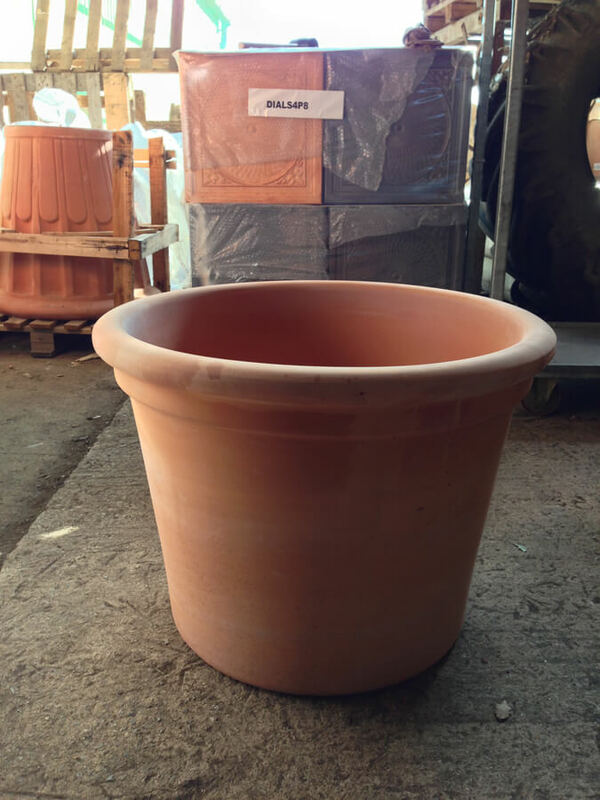 Please telephone before ordering as pots and plant sizes vary from week to week. 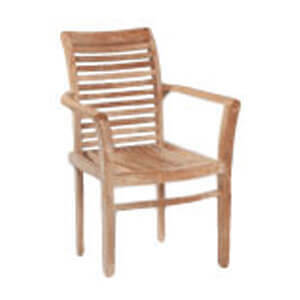 All of our furniture is made from Teak which, being a Tropical Hardwood, will last for many years even when left outside in varying weather conditions. 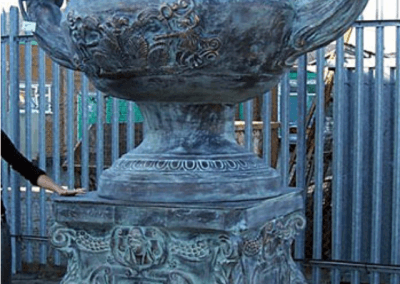 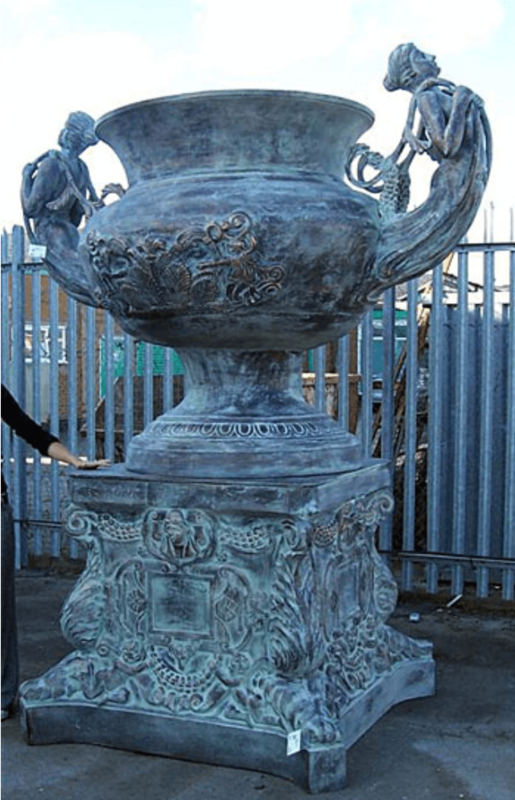 If left untreated, your furniture will gradually fade to a silver-grey colour. 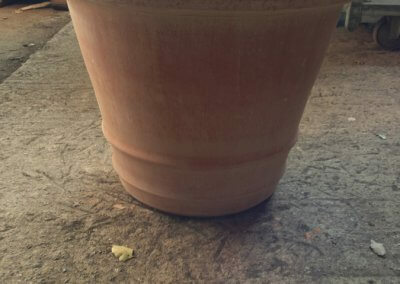 Being a natural product cracks may appear but this is a perfectly normal characteristic and will not affect the structural integrity of your furniture. 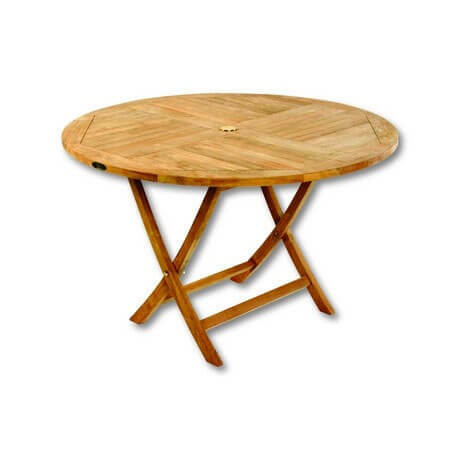 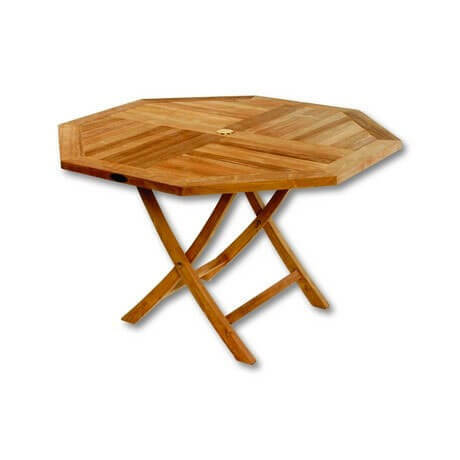 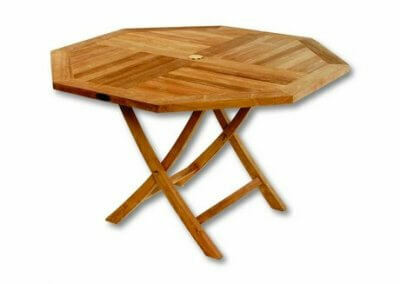 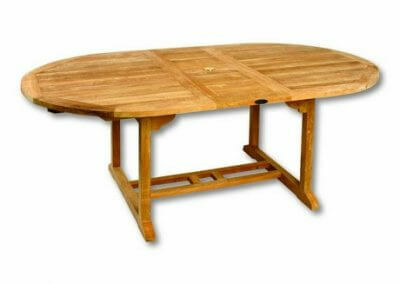 About once a year, or before using a wood treatment, your furniture should be cleaned. 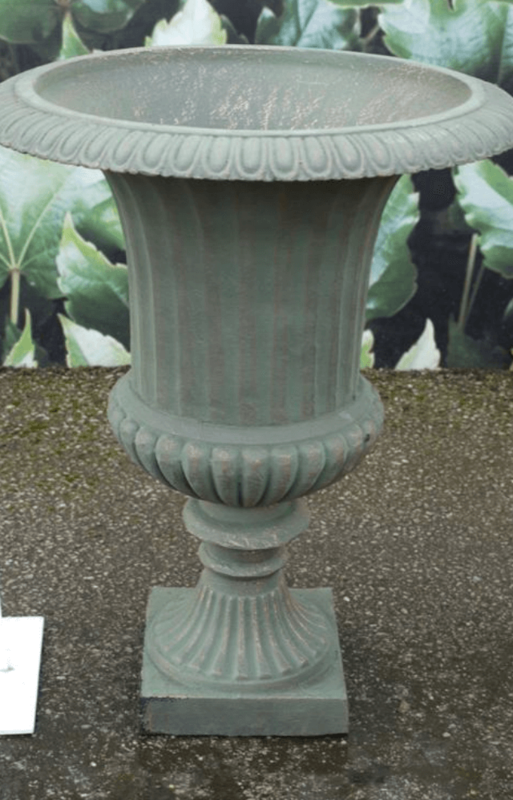 To remove everyday dirt and the silver-grey appearance, wash with warm soapy water and stiff scrubbing brush, or careful use of a jet wash. 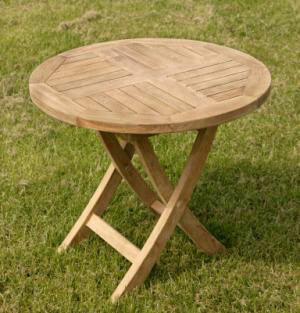 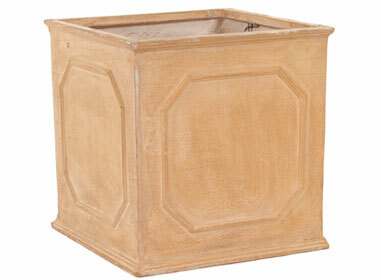 When dry your furniture should be lightly sanded (always sand with the direction of the grain not across it). 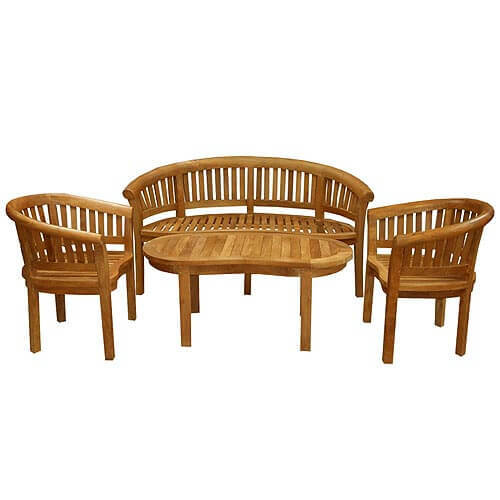 If an unweathered appearance is required, treat your furniture with a suitable good quality wood treatment such as Teak Oil, (when using Teak Oil, never apply over accumulated dirt or grime as this will discolour your furniture and may turn it black). 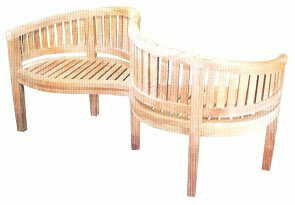 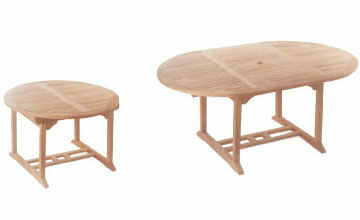 Always follow manufacturers guidelines when using suitable wood treatments on your furniture. 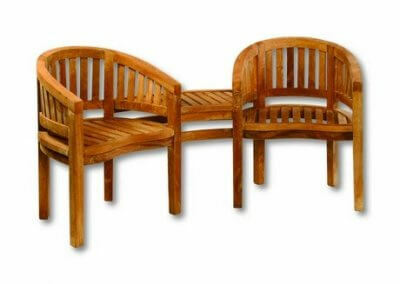 Before re-applying any wood treatment, ensure that the furniture is thoroughly clean and dry and sanded where necessary. 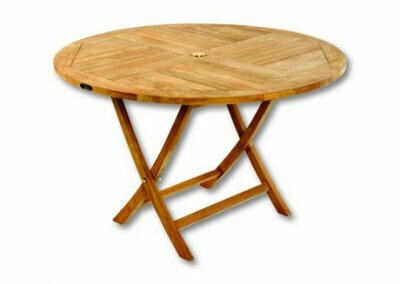 Always lift furniture, do not drag.